We hope you find the latest news, including articles about some novel developments in the world of Leica, both informative and interesting. The Swiss photographer René Burri is considered to be one of the best known and most respected photographers of the 20th and 21st centuries. His portfolios shot as a photojournalist at political hot spots around the world, for example of the divided and later reunited city of Berlin, and evocative portraits like those of the Cuban revolutionary leader Ernesto Che Guevara with a cigar, the sculptors and painters Pablo Picasso and Alberto Giacometti or the architect Le Corbusier founded his fame. Today, some of his images stand as valuable documents of contemporary history. And now, Leica Camera AG honours the lifework of the 80-year old Leica photographer, who has been a member of the Magnum agency for over fifty years, with the Leica Hall of Fame Award. The winners of the Leica Oskar Barnack Award and the Newcomer Award for 2013 have been chosen. Born in Siberia, Evgenia Arbugaeva has been awarded this prestigious photography prize for Tiksi', a portfolio of her images from a project shot in the small town of the same name on the Arctic coast of northern Siberia. The international jury chose Ciril Jazbec from Slovenia as the winner of the 2013 Leica Oskar Barnack Newcomer Award. His portfolio of images entitled Waiting to move' tells the story of an Inuit village in Alaska facing the threat of global warming. Adobe® Photoshop® Lightroom® 5, the latest release of the powerful image-processing software, is now a part of the software package supplied with the current camera models of the Leica S, M, X, V and D-Lux lines. 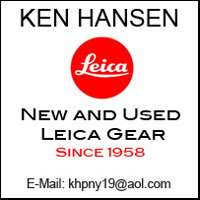 This software is available to Leica camera owners as a free download from the Leica website after registering their new purchase in the owners area. * Adobe® Photoshop® Lightroom® 5 is considered to be the most professional image-processing software currently available, and guarantees ultimate picture quality when used in combination with images captured with a Leica. Come and see the exhibition of the Leica Oskar Barnack Award winners at the Leica Booth! The Leica team looks forward to welcoming you at the Leica exhibition stand located at "Espace van Gogh" from July 1 - 6, 2013 between 10.00 and 19.00h! There you can see the range of Leica products, speak with Leica experts from France and Germany, test M cameras and lenses, and get a copy of the new LFI Special Magazine LOBAward 2013. The winners and finalists entries for the Leica Oskar Barnack Award will be shown at the Award Ceremony, with the winners on stage at the Théatre Antique on Wednesday, July 3rd, ca. 22.15 h.
Leica Camera is pleased to present a new special edition camera, the Leica D-Lux 6 'Edition by G-Star RAW.' The camera is a collaboration between Leica Camera and G-Star, the Dutch denim label. Both G-Star and Leica are united in their appreciation of premium-quality products and functional design. The Leica D-Lux 'Edition by G-Star RAW' has a distinctive, unique and timeless look and is a stylish accessory for fashion aficionados. The body of the Leica D-Lux 6 ‘Edition by G-Star RAW’ is finished in the typical RAW design, and features the script ‘LEICA BY G-STAR RAW … JUST THE PRODUCT’. This special edition’s leather trim is also unique – in fact, it is used for the first time ever on a Leica compact camera. The technical specifications of the Leica D-Lux 6 ‘Edition by G-Star RAW’ are the same as those of the standard model including a fast lens with a 1.7" CMOS image sensor. The Leica D-Lux 6 ‘Edition by G-Star RAW’ comes as a set including a camera case in brown leather in the RAW look, branded with the G-Star logo. The set also includes an exclusive carrying strap and a matching hand strap, both in the same leather as the case. The Leica D-Lux 6 ‘Edition by G-Star RAW’ is a worldwide limited special model and is available at Leica Authorized Dealers now. Leica Akademie presents new multiday workshops this summer! The Leica Akademie in North America enters its third year of operation with expanded workshops for intermediate and advanced photographers! These multiday workshops on Conservation Photography, Street Photography and developing a distinctive visual style offer a unique, challenging and fun learning opportunity for both Leica customers and those discovering the Leica system for the first time. Telling the bigger story of the landscape. Lead by photographer Bridget Besaw this series of workshops are designed to teach the combined techniques of landscape and people photography, while connecting photographers with a passion for the environment to timely stories and beautiful locations that environmental organizations need help protecting. These workshops are perfect for photographers with a passion for the environment. Leica cameras are known worldwide as the perfect tool for street photography. Designed as a crash course in everything street photography, these intense workshops will push you creatively while improving your technical confidence. Spend three days shooting, editing, and reviewing your images with a Leica Akademie instructor and featured local street photographers. Going beyond the traditional technical workshop this 3-day program, designed for intermediate to advanced Leica M photographers explores the process of personal creativity and authorship in photography. Led by renowned documentary photographer and educator Quinton Gordon, participants will focus on increasing visual awareness with a goal for each photographer to make images that are distinctly their own. Get the most from your Rangefinder. If you currently own the M9 or M-E and have never attended a Leica Akademie workshop before, this should be your first stop. This one day session teaches you how to achieve astounding results with your camera, while providing access to a selection of lenses from Leicas full line. Combining classroom lecture with hands-on learning your Akademie instructor will share some of his personal tips, shooting techniques and working methods to enable you to gain more from your camera. 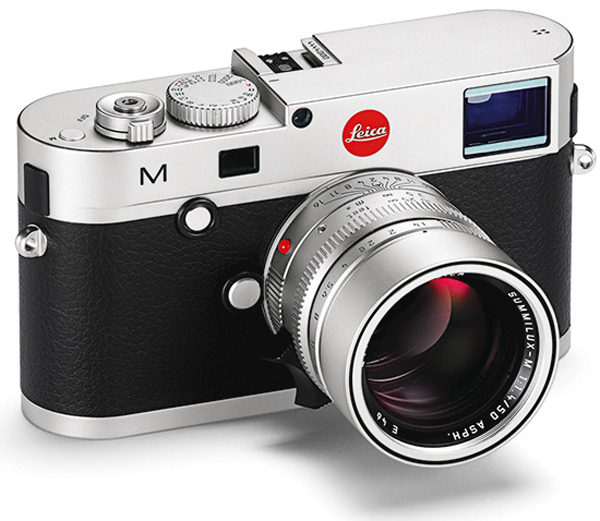 Since its presentation at the photokina 2012, the new Leica M has become extremely popular. The large number of orders we have received shows the outstanding acceptance of the new M-System on the market. The enormous demand has by far exceeded our expectations, with the consequence that delays in deliveries can unfortunately not be avoided. A significant cause for the longer waiting times is Leica’s uncompromising manufacturing process in accordance with the ‘factory’ principle. Just like all other Leica products, the Leica M is manufactured and assembled in an elaborate manual process that must satisfy the most stringent demands on precision engineering, painstaking care and quality. Each Leica M is a handcrafted product in every detail and may only leave the factory after being tested, checked and adjusted for so long until its flawless finish and performance are guaranteed and fulfill the exhaustive quality demands on which the worldwide reputation of Leica is founded. This commitment to precision and quality has been the the core principle of Leica manufacturing for almost a century. The endurance, reliability and perceived value of Leica products have been instrumental in the creation of the Leica legend. To ensure that we can continue to maintain these uncompromising quality standards and simultaneously reduce order-fulfillment times, Leica Camera AG is currently significantly expanding production capacities, creating job opportunities for additional specialists and trainees, and is building a completely new, ultra-modern factory that will open in Wetzlar in 2014 with facilities to satisfy production demand. The sum total of these measures will relieve pressures in the production process and simultaneously lead to considerably shorter order-fulfillment times. Several years ago (more than I like to remember), I worked in a camera store. We were the main Leica dealer in town which, of course, meant, we also sold the Leica Binoculars. Grand Opening: Leica Store Los Angeles and Leica Gallery Los Angeles, June 21st to 23rd. The grand opening celebration for the latest Leica sore in Los Angeles will take place this month from the 21st to the 23rd. Along with the new store, Leica will also have a new Leica gallery with an exciting exhibition. In the Gallery: Mary Ellen Mark - "Leica, My First Camera"
Mary Ellen Marks photographs are renowned the world over and span the genres of NY Street photography, photojournalism and portraiture. Her main interest has always been social issues that this career survey of iconic gelatin silver prints embodies. The Leica Gallery Los Angeles exhibition will present prints from her NY street images and iconic "Indian Circus" images. In addition, the exhibition also features Marks legendary Hollywood celebrity portraiture from her new book "Scene Behind The Scene". Yariv Milchan - "Leica ... An Affair"
Photographer and film producer Yariv Milchan grew up with Hollywood for his backyard, surrounded by the magic and wonder of the filmmaking world and its beautiful movie star inhabitants. Yarivs photographs always share a depth and beauty, whether he focuses his lens on the stunning California landscape or the sinuous curvature of a womans back. The common thread always sewing his body of work together is his love of capturing great light, nature and beauty above all. Seal, a self proclaimed "photography geek," and ambassador for Leica, views his photographic practice as a means of "connecting" to people and "stopping time." His favorite subjects are people and portraiture. Seal has been a loyal Leica Camera collector for 25 years. He started shooting 35mm on the original M3, and now uses a range of cameras including the new Leica Monochrom. Meet the newest addition to the Leica line up during this world premier "Test Drive" experience! Join the Leica Akademie for a two-hour shooting experience with the newly announced Leica X Vario! 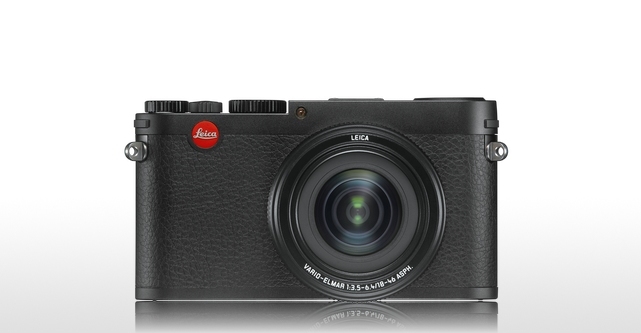 This powerful camera offers Leica quality in a versatile compact package that will benefit experienced and novice Leica photographers alike. This is the first opportunity to try this new unique product in North America and space is expected to go quickly. Spend some hands-on time with the legendary M-system. This interactive, hands-on program provides an opportunity to discover for your-self the essence of Leica rangefinder photography! Under the guidance of a Leica Akademie instructor you will learn the craftsmanship, capabilities and perspective that makes photography with a Leica rangefinder unlike any other camera. A selection of M9P, M-E, Monochrom and a limited number of the highly desirable M (240) will be available for this two-hour program. Mary Ellen Mark has achieved worldwide visibility through her numerous books, exhibitions and editorial magazine work. She has published photo-essays and portraits in such publications as LIFE, New York Times Magazine, The New Yorker, Rolling Stone, and Vanity Fair. For over four decades, Mary Ellen Mark has traveled extensively to make pictures that reflect a high degree of humanism. Today, she is recognized as one of our most respected and influential photographers. Join Mary Ellen Mark for an informative artist talk about her work in our current exhibition, "Leica, My First Camera." Saturday June 22nd, 6PM - 8PM, Craig Semetko "The Essential Photographer"
Craig Semetkos The journey from globe trotting comedy writer/ performer to being exhibited along side Henri Cartier-Bresson is a remarkable story. This internationally exhibited and collected photographer will share the stories behind his first book "Unposed" as well as new work from his recently completed portrait of America: E Pluribus Unum (Out of many, One). His stories and photographs have appeared in the Surfer Journal, Surfer, Alpinist and Outside Magazine. His adventures on both land and sea where chronicled in his first book "Bend to Baja," and most recently in the documentary film "180 South." In this rare lecture he will share his history in photography, and the impact that picking up a Leica M7 has had on his personal work. Programs are free and open to the public, but space is limited. Hours: Monday - Sunday 10AM - 6PM. To many, the official introduction of the Leica X Vario today was certainly anticlimactic. Images and detailS of the new camera had been leaked and it was rather well known what the camera would be like. I purposely held off talking about the IT or getting involved in the discussion until the final, official word was out. Many of the comments are of disappointment. Leica’s campaign of calling the camera a Mini M lead to the expectation that this camera somehow would be a simpler, maybe somewhat smaller version of the Leica M. The fact is that we got a camera that is much closer to the Leica X2, but with a zoom lens. Already we hear comments of fail, why, no M ... Of course it is not a Leica M. However, how well the camera fits into the lineup of Leica cameras needs to be seen. So far, the few images taken with it that have been published are inconclusive. Yes, the hopes of an interchangeable lens, morrorless Leica didn't come true, as is the case with an interchangeable lens version of the X2. Either one of those cameras would certainly have created a lot more excitement. But is it really that bad? 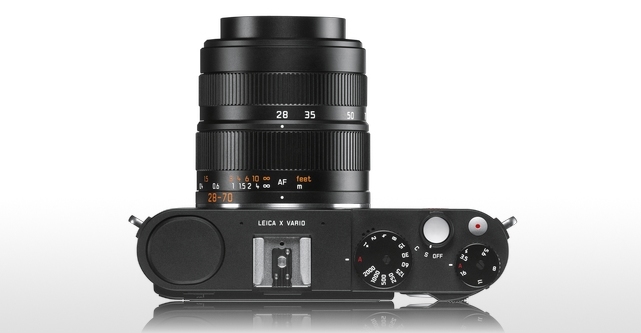 Of course, for total versatility, the Leica M is far ahead of the Leica X Vario. Yet the versatility has been substantially increased over the X2 by the addition of the zoom lens. That, combined with the new sensor and the additional features actually makes for quite a usable camera. If the camera deserves to be positioned between the M and the X2 will soon be revealed when we see some valid performance proof. That, I am sure, will be forthcoming in just a few days. Rather than blathering how bad this camera is, as so many are doing, I am willing to wait for that until I form my final opinion. Leica Camera proudly presents the Leica X Vario (Typ 107) -a groundbreaking compact camera which combines a large APS-C format with a zoom lens to offer customers the best possible quality and versatility in a compact camera. The Leica X Vario (Type 107) features several significant technical, design and handling characteristics of the Leica M. With the AF Leica Vario Lens offering an equivalent zoom range covering 28 to 70 mm and full-HD video recording, the Leica X Vario (Typ 107) expands the creative options for the user while offering easy and automatic operation. Vario (Typ 107) allows users to change focal length easily and quickly to spontaneously capture the perfect moment. In addition, the autofocus is fast, extremely precise and virtually silent while the switch from autofocus to manual focusing is intuitive -simply move the focusing ring on the lens from MF to AF mode. clear overview of all settings at a glance. The Leica X Vario (Typ 107) offers a full-HD video recording option with a 1920 x 1080 pixels and 30 full frames per second. A video can be made by simply starting and stopping a single button on the camera’s top plate. The full-HD videos can be saved using the MP4 format and uploaded directly to social media or mobile devices without any conversion. An integrated wind-cut filter ensures outstanding audio clarity. The design and finish of the Leica X Vario (Typ 107) reflects the ultimate in the art of engineering with attention to detail and the use of the finest materials. The top plate is machined from solid aluminum while the magnesium and aluminum body is trimmed with soft leather. The Leica X Vario (Typ 107) provides the user with a visual and tactile experience which is synonymous with a Leica made in Germany. LEICA X VARIO Technical data. Lens Leica Vario-Elmar 18-46 mm f/3.5-6.4 ASPH. (corresponds to 28-70 mm in 35 mm format), 9 lenses in 8 groups, 2 aspherical lenses. Sensor CMOS sensor, size APS-C (23.6 x 15.7 mm) with 16.5/16.2 million pixels (total/effective), format aspect ratio 3:2. Resolution Selectable for JPEG format: 4928 x 3274 Pixel (16 megapixels), 4288 x 2856 Pixel (12,2 megapixels), 3264 x 2160 Pixel (7 megapixels), 2144 x 1424 Pixel (3 megapixels), 1632 x 1080 Pixel (1,8 megapixels), DNG: 4944 x 3274 Pixel. Video resolution/frame rate Selectable 1920 x 1080 pixels, 30 fps or 1280 x 720 pixels, 30 fps. Aperture range From 3.5 to 16 (at 28 mm)/6.4 to 16 (at 70 mm) in 1/3 EV increments. Image data file formats /Compression rates JPG Superfein, JPG Fein, DNG + JPG Superfi ne, DNG + JPG Fein. ISO Range Automatic, ISO 100, ISO 200, ISO 400, ISO 800, ISO 1600, ISO 3200, ISO 6400, ISO 12500. White balance Automatic, presets for daylight, cloud, halogen lighting, shade, electronic fl ash, 2 manual settings, manual color temperature setting, fi ne adjustment option for all settings. Autofocus system Contrast-based auto focus system. Distance setting range 30 cm/1 ft (at 70 mm focal length) to infi nity. Autofocus metering methods 1-fi eld, 11-fi eld, spot, face detection. Exposure modes Automatic program, aperture priority, shutter speed priority and manual setting. Exposure metering Multi-fi eld, center-weighted, spot. Exposure compensation ±3 EV in 1/3 EV increments. Automatic bracketing Three pictures in graduations up to 3 EV, adjustable in 1/3 EV increments. Exposure modes M (manual), A (aperture priority), B.
Shutter speed range 30 s to 1/2000 s.
Continuous picture series 3 fps or 5 fps, max. seven pictures with constant frequency in DNG + JPG Fine. Flash modes Auto, auto/Red-Eye, forced on, forced on/Red eye, Slow Sync, Slow Sync/Red eye, Studio. Flash exposure compensation ± 3 EV in 1/3-EV increments. Guide number built-in fl ash unit For ISO 100, guide number 5. Recovery time of built-in fl ash unit Approx. 5 s with fully charged battery. Monitor 3" TFT LCD, approx. 920,000 pixels. Self timer Delay time 2 or 12 s.
Storage media SD/SDHC/SDXC memory cards. Connections Mini USB 2.0 socket, HDMI socket, special socket exclusively for external Leica EVF 2 electronic viewfinder. Power supply Lithium ion battery, rated voltage 3.7 V, capacity 1600 mAh (to CIPA standard): Approx. 350 pictures, charging time (after total discharge): approx. 200 min. Charger Input: 100–240V AC, 50/60 Hz, automatic switching. Tripod thread A 1/4 DIN 4503 (¼ in). Dimensions (W x H x D) Ca. 133 x 73 x 95 mm / 5.24 x 2.87 x 3.74 in. Weight Ca. 594/628 g / 22.9/24 oz (without/with battery). Package includes Battery (Leica BP-DC8), battery charger (Leica BC-DC8), leather carrying strap, USB cable, lens cap, user manual. Software Adobe® Photoshop® Lightroom® (free download option after camera registration). Solms (ots) - Die Leica Camera AG, der Hersteller von Kameras und Sportoptik-Produkten im hessischen Solms, steht im Ranking der Top-50-Luxus-Unternehmen in Deutschland an der Spitze. Das ergab eine Bewertung der besten deutschen Premium-Hersteller durch die Munich Business School und die Wirtschaftsprüfungsgesellschaft Ernst & Young. Die Initiatoren des Rankings haben die Unternehmen unter anderem hinsichtlich Exklusivität, Internationalisierung und Internetpräsenz untersucht. Ein Fachbeirat gab ergänzend sein Votum ab. Alfred Schopf, Vorsitzender des Vorstands der Leica Camera AG: "Wir freuen uns sehr über das Ergebnis des Rankings, weil es die eingeschlagene Strategie unseres Unternehmens honoriert. Leica führt das Ranking auch deswegen an, weil unsere einzeln in Manufaktur gefertigten Produkte mit einem umfassenden Kundenservice weltweit verbunden werden. Unser international ausgelegtes Store-Konzept ist einmalig in der Branche und eröffnet nicht nur neue Märkte, sondern ermöglicht auch eine besondere Nähe zu unseren Kunden und den direkten Umgang mit ihren Bedürfnissen und Wünschen. Die aufwendig gestalteten Leica Stores und Boutiquen bieten Beratung und Dienstleistungen weit über den Verkauf unserer Produkte hinaus und verkörpern den Anspruch, den unsere Kunden seit bald einhundert Jahren mit der Marke Leica verbinden." Die Leica Camera AG hat seit dem Jahr 2009 mit der Einführung innovativer Digitalprodukte den Turnaround erreicht. Derzeit gibt es 45 Leica Stores und über 90 Boutiquen auf allen fünf Kontinenten der Welt. In den kommenden Jahren soll die Anzahl auf rund 200 Stores und Boutiquen ausgebaut werden.